We have a large range of solar panels, inverters, chargers, controllers and batteries so that we can customise your solar power system to suit your individual needs. From small residential solar systems to large industrial solar systems, on multi storey buildings or in the middle of the outback, our professional staff will create a quote based on your needs, explain the benefits and any possible problems you’ll face, before installing the best system for your budget and situation. Below are some of the products that we use on a regular basis, but we are always looking for the latest technology in this constantly changing market. The Fronius Primo is a single phase inverter used for most residential grid connected solar power systems. There are a large range to choose from, and their 5 year (minimum) warranty* will give you peace of mind. The Fronius Symo is a transformerless three phase inverter used for grid connected solar power systems. There are a large range of sizes to choose from, and their 5 year (minimum) warranty* will give you peace of mind. 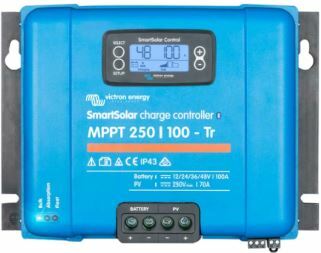 Solar charge controllers regulate the solar panel's charging current to provide the most effective charge to the batteries without overcharging them, and prevent the batteries from backfeeding to the panel at night. The EasySolar combines a MPPT solar charge controller, with an inverter/charger and AC distribution in one enclosure. This makes it easy to install, with a minimum of wiring. The Redback smart inverter offers amazing flexibility by allowing you to connect to 2 solar arrays, the grid and a battery bank, all in an elegant housing. You can use the app to see how it's performing or just let it direct your power in the optimal way. 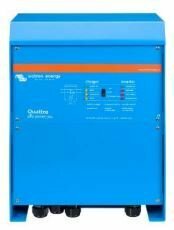 This three phase solar inverter combines a battery charging system, battery inverter, hybrid inverter, controller and system monitoring solution in one device. Connect some batteries and then use an app to configure and view your system. 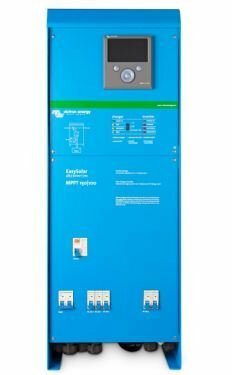 This Lithium Ion battery comes with a 10 year warranty* and is designed specifically for small-scale micro-grid projects due to its high discharge power and scalability. This Lithium Iron Phosphate (one of the safest Lithium technologies in use) battery comes with a 10 year warranty* and is ideal for most residential solar installations. Magnum deep cycle batteries have been specifically designed for the Remote Area Power (RAPS) and standby power markets. It utilises tubular positive plate technology in order to maximise battery life.